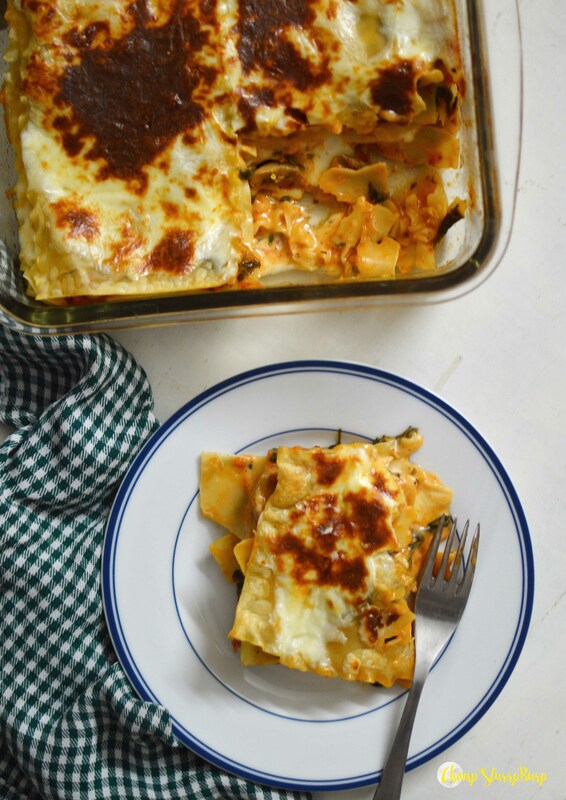 Spinach and Mushroom Lasagna - CHOMP! SLURRP! BURP! 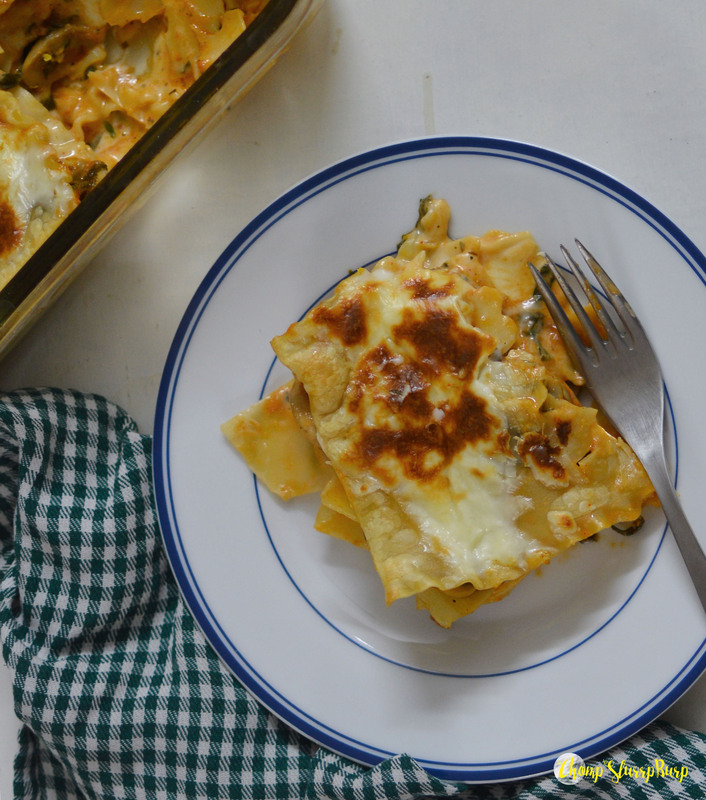 Lasagna is one of those complicated dishes that I have shied away from making. Mom has cooked it once before, but I have always found it too cumbersome. It is not so difficult though. All you need is some patience. In a large pot, heat water and add the pasta sheets. Add the oil and salt and cook until the sheets are well done. Remove from heat, and run under cold water to prevent the sheets from sticking. Slice the mushrooms and garlic cloves finely. Thoroughly wash the spinach leaves and roughly chop them. Cut the tomatoes into fours, blanch them and puree to a smooth sauce. Heat oil in a pan, add the garlic and saute till golden brown. Add the mushrooms and spinach and cook for 3 to 4 minutes. Add the tomato puree, salt, pepper, and chilly powder. Simmer and cook till the sauce thickens. Brush oil on the pan, add the pasta sheets, put the sauce and cheese. Repeat and cover the top with the remaining cheese. Pre-heat the oven to 300 degrees for 5 minutes. Bake the pasta for 20 minutes at 200 degrees. Don’t cook all the pasta sheets together in one pan as they are bound to stick to each other. Make sure you remove the sheets from the hot water as soon as they are done else they will break. While layering the lasagna, make sure you add lots of cheese so the lasagna sticks well and doesn’t fall apart.